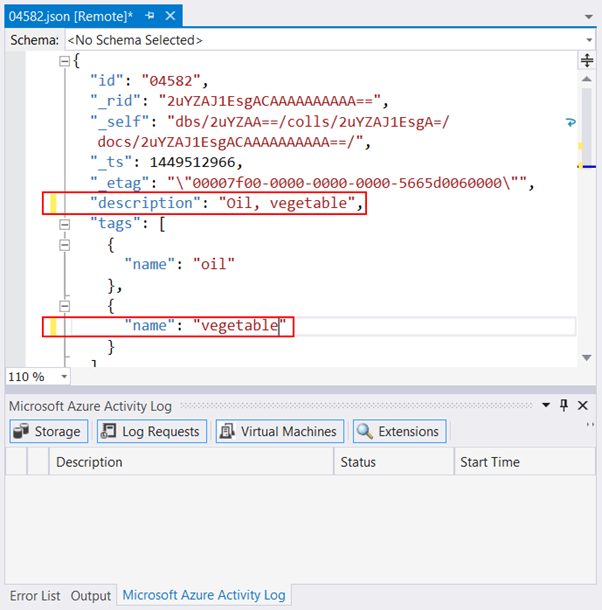 The Azure DocumentDB team is pleased to announce DocumentDB integration with Visual Studio’s Cloud Explorer. You can now explore your DocumentDB resources within your favorite IDE. 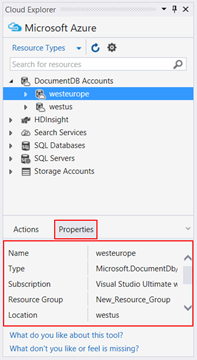 Through this integration, you can view and modify your DocumentDB data while building your application all within the same Visual Studio Environment. 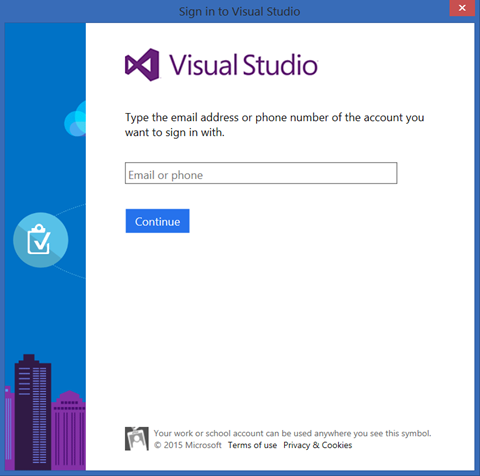 Confirm you’re using Visual Studio 2013 or Visual Studio 2015. 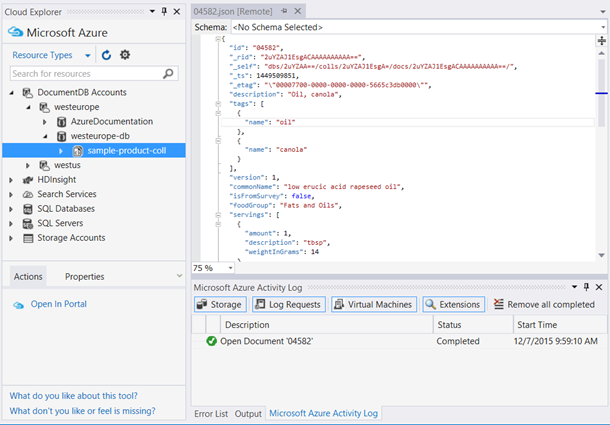 Download Azure SDK 2.8.1 for VS 2013 or VS 2015. That’s it! Visual Studio Cloud Explorer will automatically open when you load Visual Studio. If your Azure subscription is linked to a different Windows Live ID, click Account settings in the top right corner. 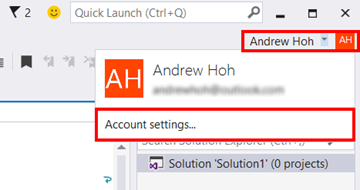 In the Account settings window, click Add an account and enter your Windows Live ID credentials. In Visual Studio’s Cloud Explorer, you can view all your DocumentDB accounts, databases, collections and documents. When starting new applications, grab your DocumentDB endpoint and keys from your account’s properties. 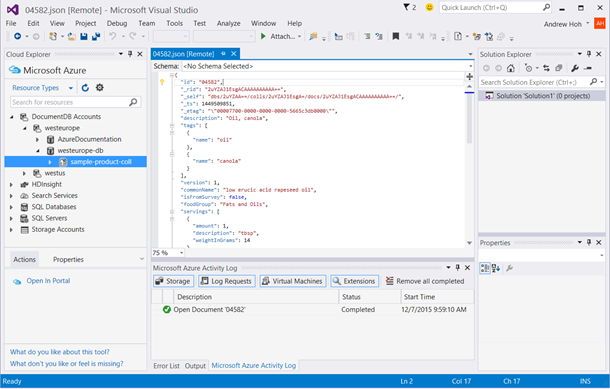 View and modify documents directly inside your Visual Studio JSON editor. 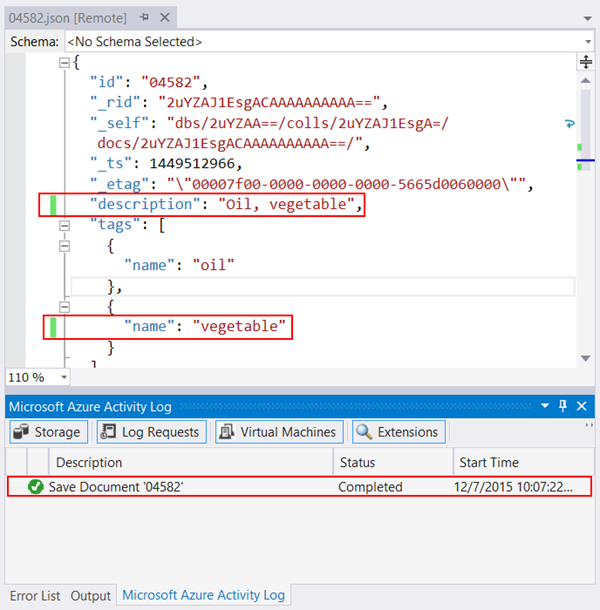 Your document edits will be saved directly into your DocumentDB database. Want to see more functionality in the Cloud Explorer? Give us your feedback on our user voice.